Get $20.00 off the all new Quicken 2015 for Mac. Just released after a long 7 years of no major releases! 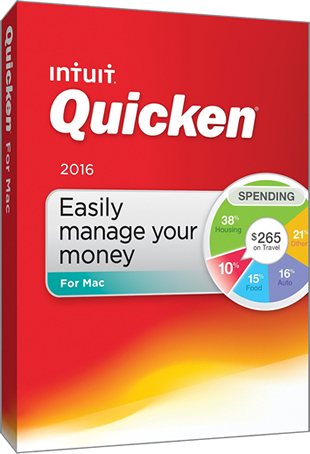 You can now pick up the all new Quicken 2015 for Mac now at Intuit and save $20.00. Plus you’ll get free shipping on your order. Be sure to also see the new features and download the 2015 Quicken app to fully take advantage of the new features found in Quicken for Mac. Remember, all orders made from Intuit are covered by a full 30-day money back guarantee. Just follow the below offer link to activate the discount. Offer expires on April 30, 2016. Get a 60-day money-back guarantee on Quicken Essentials for Mac. Regardless of where you bought your copy of Quicken, you have a 60-day money-back guarantee included with your purchase. This is especially handy if you’re never tried Quicken Mac or any of the other versions before (no free trial versions are available). To request for a refund, simply follow the able link to the refund instructions posted on the Intuit website. After you send in the required refund form, you should get your money back, less any special off codes or discounts used at the time of ordering, in about 4 weeks. Purchase TurboTax & Quicken Mac together and get $20 off. Now when you buy any version of TurboTax software together with Quicken for Mac at Amazon, you can save an extra $20.00 on the two when you buy both qualifying copies together. This offer is exclusively available at Amazon.com on TurboTax and Quicken orders made before April 15th, 2014. Certain exclusions may apply and prices will vary. See site for full details. Offer expires on April 15th, 2015. Quicken 2016 Release Date Alerts!